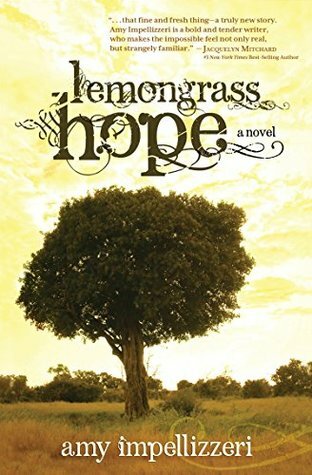 When I read the last page of LEMONGRASS HOPE, I was truly stunned. It was more than I expected and I loved every bit of it. At the time I’m writing this review, it has been a few days and I am still thinking about the imaginative way that Amy Impellizzeri told this story. The novel puts forth many questions that probably all of us can identify with about love, romance, time, and even the limitations and wild joys of motherhood. The book doesn’t necessarily answer these questions, but the authors deep examination of them will tug on the heartstrings of readers who have ever wondered how life might have turned out if they made one different choice or if they had a second chance to live out a different life. I absolutely loved this novel.